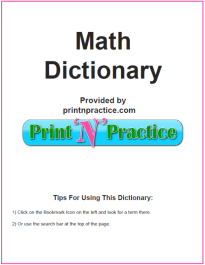 This is our printable Math Dictionary words that start with Q page for kids. Keep in your binder for easy reference. Teach the prefixes quad and quart to make it easy to learn many of these Q words. 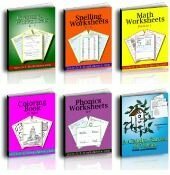 Math Words That Start With Q and printable math dictionary below. 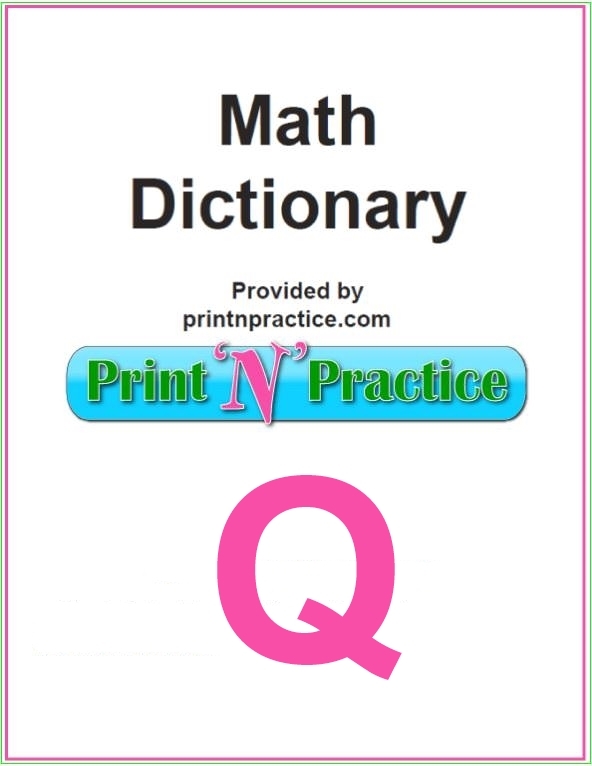 QED - abbreviation for quod erat demonstrandum, used to denote the end of a proof. Quadrangle - a closed broken line in the plane consisting of 4 line segments. Quadrangular Prism - a prism whose base is a quadrilateral. Quadrangular Pyramid - a pyramid whose base is a quadrilateral. Quadrant - in Cartesian Coordinate geometry, the coordinate plane is divided into four parts. Each of the four parts is called a “quadrant” and is designated by a roman numeral, I, II, III, or IV. Quadrant I contains all coordinates with positive x and positive y values Quadrant II contains all negative x and positive y values; Quadrant III contains all negative x and negative y values; and Quadrant IV contains all positive x and negative y values. Quadratic Equation - an equation of the form f(x)=0 where f(x) is a second degree polynomial. That is, ax2+bx+c=0. A term used in pre-Algebra and Algebra. Quadratic Function - a function of the form f(x) = ax2 + bx + c where a is not equal to zero (in which case the function turns into a linear function). Quadrature - the quadrature of a geometric figure is the determination of its area. Quadric Curve - the graph of a second degree equation in two variables. Quadric Surface - the graph of a second degree equation in three variables. Quadrilateral - a polygon having four sides and four angles, i.e. square. Quadrinomial - an algebraic expression consisting of 4 terms. Quantity - numerical value, used with reference to some particular unit. Quart - measurement of one fourth US gallon, 32 ounces. Quarter - one fourth of a unit, twenty-five percent, twenty-five cents of a dollar. Quartic Polynomial - a polynomial of degree 4. Quartile - the first quartile of a sequence of numbers is the number such that one quarter of the numbers in the sequence are less than this number. Quintic Polynomial - a polynomial of degree 5. Quotient - the answer to a division equation. The dividend is divided by the divisor to find the quotient. Hint: Of course, quantity is the star word in Mathematics. 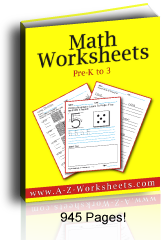 Math measures quantity of different units so reading word problems and finding the quantities and units is key to understanding Math word problems. The prefix quad- means four. Once your students understand this they'll have a lot easier time understanding words like quadrangle and quadrant. Quart- is the prefix that means 1/4. When quart- is at the beginning of a word children know that one fourth of a unit is being mentioned or defined. Thank you for visiting our math words that start with Q.